May build or restore trust and improve communication skills. Mediation is a dispute resolution process in which a third party neutral (mediator) helps and guides you and the other party or parties to create mutually workable and satisfactory solution. The mediator may offer ideas or evaluate parts of the dispute; however, it is the parties who create the solution. 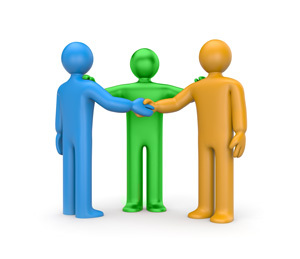 The mediator is in charge of the process and helps you and the other parties articulate your needs and concerns. Although it is a confidential process, if the parties reach a resolution, the mediator will help them reduce that to writing. The written agreement may become a binding contract.